February 26, 2018 By Elise 10 Comments This post may contain affiliate links. Please read my disclosure policy for more info. Put these coconut flour blueberry muffins on your breakfast menu, and your whole family will thank you. 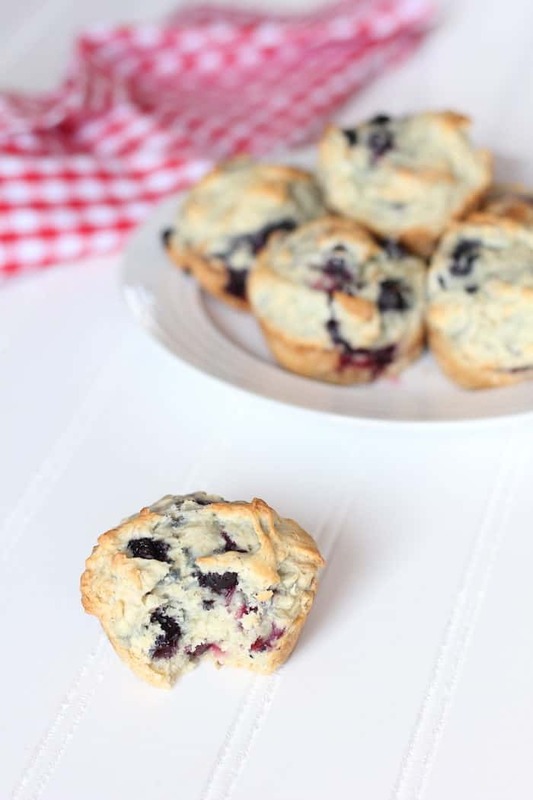 Whether you’re gluten-free, grain-free, or just watching your carbs, these muffins are your perfect breakfast solution! About two years ago, I fell in love with coconut flour. At the time, it felt like going out on a limb, but my husband seemed to be becoming more and more sensitive to grains, so I decided it was time to pony up and learn how to bake with coconut flour. And we haven’t looked back. Yes, there was definitely a learning curve, and sometimes still my experiment with recipe development end up in crumbles, but we’ve also learned how to make some really delicious, guilt-free goodies with it. Coconut flour pizza crust is one of my favorite coconut flour recipes, with coconut flour cupcakes running a close second. 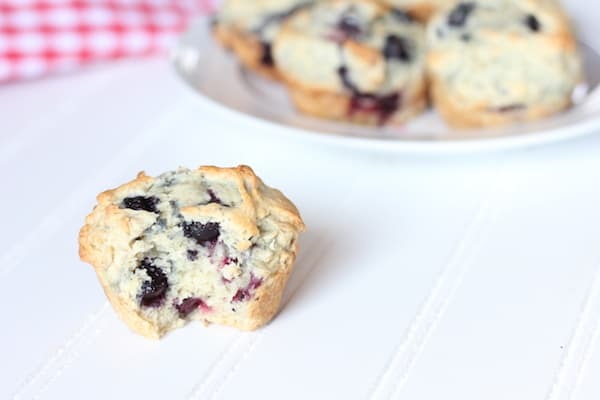 And now… coconut flour blueberry muffins. They say that muffins are just cupcakes you eat for breakfast, but these are slightly different – namely, we lowered the sugar content. Easy peasy lemon squeezy as my daughter would say. And of course, we added the blueberries. Funny story: I made these muffins a few days ago for breakfast, and then remembered that we had run out of butter (not really, I just hadn’t been out to the deep freezer to get any), and the kids really like butter on their muffins, so I wasn’t sure how breakfast would go. But it turns out, I didn’t need to worry; they both ate their coconut flour blueberry muffins without even remembering to ask for butter. I’m calling that a win! Maybe it had something to do with their help making the muffins. I have found that kids are 100% more thrilled with the food they eat if they have a hand in making it. It’s hard at first when they’re little to let them be a part of it – they’re SO messy! But it pays off after a while when they learn how to be helpful for real. Beating eggs, adding ingredients, Taste-testing. 😉 They’re really good at that stuff. Whisk oil sugar, salt, vanilla, and eggs. Grease 15 muffin cups, or line with paper cupcake liners. Fill each liner 7/8 of the way full. Bake the muffins on the center rack of the oven for 18-20 minutes, until muffins are nicely browned on top (using a toothpick might not work since you’ll run into a blueberry. 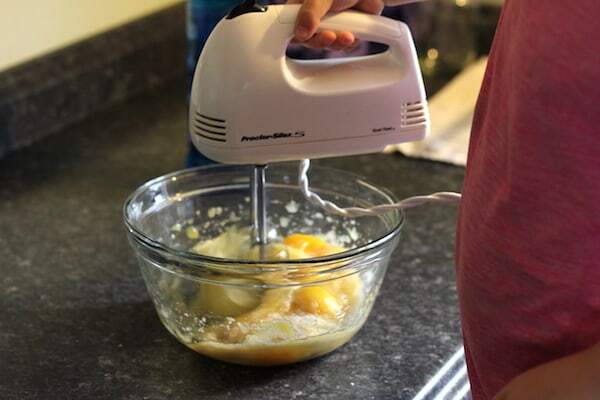 Remove muffins from oven, and loosen edges with a butterknife so they won’t be stuck once they cool. Let them cool for five minutes or so before serving to them them settle. I much prefer coconut flour to almond! I am SO excited to try these recipes! Hi! I’ve already started making these, so I’m just going to experiment, but unless I’m missinf something, the directions call for water but no amount is listed in the ingredients. Hi Alice, no, there is no water in this recipe. Can I use melted butter in place of the coconut oil? Can I use coconut sugar or maple syrup in place of the cane sugar? Same amount? Yes to the coconut sugar. You will need to adjust the ammount to use maple syrup however. I haven’t tested it. You can use the “create recipe” section in My Fitness Pal.